A warning about a piece of autism research whose requirements for participation are at best poorly set out and ay worst downright discriminatiory. Readers of this blog will be well aware that I have taken part in a number of research projects over the years, many of them based in Cambridge. This is therefore a painful little post to write, but one that I feel I must in the circumstances, due to what I conisder to be a completely unacceptable outlining of requirements. This particular research study demands autistic adults who have at least one GCSE at Grade C or better. This is not a problem for me personally as I actually have a degree, but it does automatically exclude many, and it smacks to me of dishonesty, since my reading of it as that is an attempt to avoid the use of functionality labels while at the same time trying to esnure that they get poeple who they regard as “high functioning”. I could not personally take part in this study because I could only do such things on a basis of trust, and by setting out their requirements in this fashion they have very effectually ensured that trust is not present. My advice to anyone who is approached with a view to taking part in this study is to refuse to do so, and hope that no one takes part, so that this misbegotten study dies a speedy death. My advice to those behind this study (I will not name and shame the lead researcher, and kindly do not ask that I do so) is to abandon this version and come up with a more acceptable way of communicating your requirements (including possibly accepting the extra diffculty of opening your study up to all autistic people, rather than seeking to exclude a very significant proportion thereoof). If the necessary work is done and the new version of the study is presented sufficiently sensitively I may be willing to participate, but as it stands at present I cannot and will not have anything to do with it. 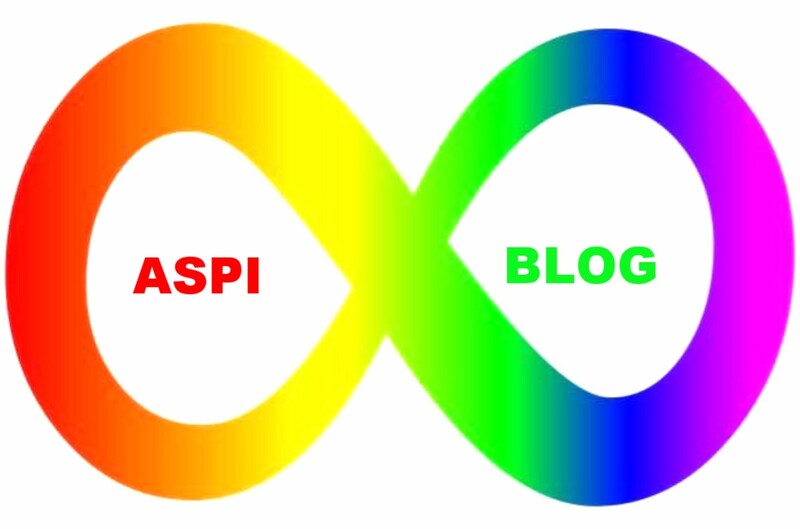 Eve Reiland of internationalbadassactivists suggested a theme for #actuallyautistic people for May: #AutisticSpecialInterest – a theme I am more than happy to run with, so, starting tomorrow I will be producing posts dealing with my special interests through the month. Those who have read my blog recently will be aware that today was my first day travelling to work on the Lynx number 49, which has replaced the Stagecoach X29 route. It runs considerably less frequently, but the buses are comfortable, the staff are friendly, and at the moment it has a score of 1/1 for punctuality, which after Stagecoach feels near miraculous. I will be off for a week in Greece, leaving King’s Lynn on Friday May 11th, late in the evening so as to get to Gatwick for the flight to Kalamata, which takes off at 5:40AM. Therefore I will accept that sleep ain’t happening that night, and spend a few hours waiting at the airport. I will arrive back in the early afternoon of Saturday May 19th. I will endeavour to keep up to date with everyone during that period, but there will almost certainly be days on which I do not manage to access the internet. My employer wanted an insert of badge pictures for the catalogue, and to enable that as well as in the interests of speed the badges were numbered up on their boards, and I took pictures of the entire boards and then extracted individual images from the whole. There are 750 lots of cigarette cards, in a total of 67 albums, of which I have imaged 51, covering four whole albums and 1 from a fifth. Setting the scene for Autism Acceptance Month, explaining why the original title, Autism Awareness Month is no longer acceptable. Numerous links and photographs. WHY NOT AUTISM AWARENESS MONTH? The original title is tainted by its associations. A very large organisation which I shall not name (think blue jigsaw pieces though) which presents itself as an autism charity but should be treated as a hate group uses this name. Although I am separated from this organisation by the width of the Atlantic Ocean I am a thoroughgoing internationalist and therefore stand in solidarity with autistic folk across the pond and refuse to use the tainted title. It is from that final goal of acceptance that the alternative title, coined across the Atlantic for reasons I have already stated, and gratefully adopted by me, comes. I have chosen white text against a purple background for my graphic because purple is the colour used by the National Autistic Society (NAS), and I am branch secretary of NAS West Norfolk. Next up is a piece from Eclectic Autistic titled “Wrong Model, Wrong Research”. This piece attacks what the author calls our society pathologizing difference and I recommend that you read it, which you can do by clicking on the title above. Now we come to one of the pieces that inspired this post. It was created my mamautistic, and has the title “Being Autistic is Everything – Autistic Acceptance” and you can access it by clicking the image below. Next we come to a good news story from the Irish Times. 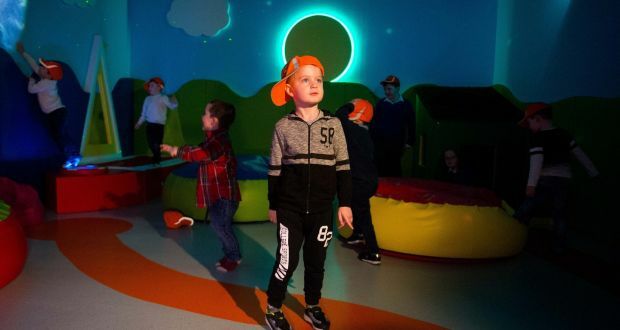 Shannon Airport has become the first airport in the world to open a sensory room for the benefit of autistic passengers. For the full story click on the graphic below which is taken from it. The silentwaveblog has played a major role in inspiring this post, with one post in particular, the last of the three I shall be sharing, virtually setting the creation of this post in motion. This piece, titled “The Double Edged Sword of Labels in the Autistic World”, is quite simply the best analysis of the rights and wrongs of labelling that I have ever come across. It also ends with a splendid vision of a future that may just be within reach. To read in full please click on the image below. Next we have “The problem with the OWN channel’s ‘For Peete’s Sake’ reality show“, which is an excellent critique of a newly launched TV show. This show may (being charitable) have been created with the intention of being part of the solution but it is quite clear from silentwave’s analysis that poor/ absent research plus maybe a bit of laziness has turned it into part of the problem. Click on the image below to read in full. The post that I regard as having pushed the starter button for this one was put up the day before yesterday and is titled “Update, March 29: what I’ve been doing lately & Autism Awareness Month“. I posted a comment in response to it when I first saw it, and the enthusiastic response from silentwave to that comment prompted to me to expand on it here. To read it in full please click on the graphic below. An introduction to autism that aims to raise awareness among young non-autistic audiences, to stimulate understanding and tolerance in future generations. It is intended to be viewed, discussed and shared widely by anyone but especially teachers and parents. This was given to me by a work colleague (four images). These are the pictures I took of lot 369 and said in my previous post that I would be sharing them on here. I omitted to capture the text for cards 41-50, but otherwise this gallery is complete and has some close ups as a bonus. You will notice that having started with British cards this set also has some international ones. The first of eight close up pictures, each of which features two cards. Only one of the four pairs of cards chosen for this treatment is British. The only British trains to merit a close-up in my gallery. An account the AGM of NAS West Norfolk, focussing on changes to the committee and an autism awareness event. The AGM of the National Autistic Society West Norfolk branch took place last night at the scout hut on Beaulah Street, King’s Lynn. Obviously there are limits on what I can say about the meeting itself as some of the stuff talked about is confidential, but there is enough to say to make it worth posting about. Although it was not very warm (this is an English October folks) I walked both ways, not being willing to fork over a bus fare for a journey of that length. For the walk there I headed across the upper Purfleet, down to the Tuesday Market Place and past St Nicholas Chapel to the town end of Bawsey Drain which I followed as far as Lynn Sport, from where I headed across open fields to the scout hut. St Nicholas Chapel against the darkening skies a couple of minutes later. We were meeting in a small side room off the main meeting area in this building. Once I had taken a suitable place in the meeting room there were a few minutes to kill before things got properly underway, so I bagged a few more photographs. Delores and Kim with their thank you gifts. The new committee was chosen. Notable changes to the structure of the committee saw yours truly and Callum Brazzo (both adults who are #actuallyautistic) given roles as adult co-ordinators. As some of you on the other side of the Atlantic have reason to know, not all organisations which claim to be about helping autistic people are so good when it comes to actually involving autistic people in a meaningful way. The new committee. Second from the right, in the black and green top is yours truly. In April there will be an Auitism Awareness event taking place at thje Duke’s Head Hotel on the Tuesday Market Place, King’s Lynn. I will very likely be presenting a display the best of my photographs, probably as a slide show. A mallard drake taken at night without the use of the flash. As we started with the Minster, so we finish there, with three shots of the son a lumiere display. This autistic person’s view of autism and autistic spectrum conditions, leavened with a few photos. This post is by way of a public response to two blog posts that I have recently encountered. I am writing this because in twitter speak I am #actuallyautistic. The post that first planted the germ of an idea for this piece in my mind was published by Autism Mom under the title “Sometimes I don’t know what to think”. In it she mentions being at an autism related event and hearing someone talk about “curing” their son’s autism. One of the first books I read about autism was a “recovery narrative.” It was well-wrttien, but what it told me was that if I just worked hard enough, poured enough money into chasing a cure, and found the right combo of supplements and therapies, my son would get over his autism. It’s a destructive mindset to have, and it caused me and my child heaps of stress. Autism is a neurology, it’s a different way the brain is wired. You can’t recover from neurology, and a more productive focus for everyone is helping your child become his or her best self. Don’t get bogged down in the debates in the autism community. There are a lot of camps in the autism community. Some people want cures, other blame vaccines, and others demonize autism. Autism self-advocates are changing perceptions of the disorder through their advocacy. People will tell you to cut gluten, try cod liver oil, and the fights can grow nasty. I align with certain views, and I try to live those. But I tell my friends to keep the focus on their child as they wade through all the extra noise in the autism community. I also always recommend that parents new to a diagnosis read what writers with autism are saying as a way to navigate some of this debate. The common usage of the phrase Autistic Spectrum Disorder can lead to a suggestion that Autism can be treated like a disease and thence to talk of “cures”. Therefore save for the single sentence I have just written I used Autism or Autistic Spectrum Condition. In each case, although I have emphasised the words that I change in the phrase the key word of the whole phrase is “spectrum”, which implies, correctly, a broad range of attributes. An Autistic Spectrum Condition is neither a disorder nor a disease – having one makes us different not lesser, or in some way incomplete. This is, if you like, my take home message to neurotypicals: learn to see beyond the condition we have and to appreciate the things we can do, rather than making the things the we cannot into impassable obstacles. As I hope I have made crystal clear, I believe that any talk of a “cure” for autism is fundamentally misguided. I for one can say with no shadow of a doubt that even if some wonder drug was devised that had the power to make me neurotypical I WOULD REFUSE TO TAKE IT. I end with a request to any and all of you who make it this far: please share this piece.